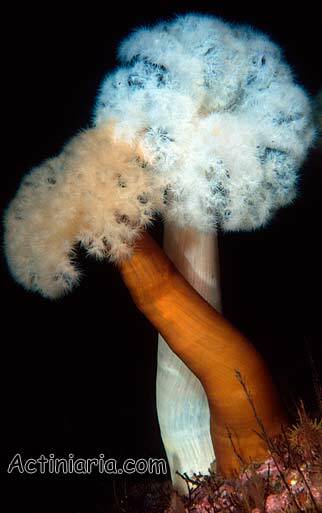 Metridium farcimen is the largest and very common species in North Pacific. 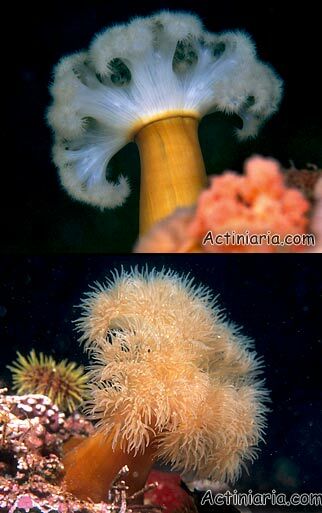 Large settlements of this species are common on rocky bottom on the depths from 5 to 35 meters. Metridium farcimen occurs even in highly polluted waters in vicinity of large harbors. Relatively slender smooth body may be up to 1 meter long, typically plain colored, yellowish, whitish, sometimes brownish, greenish, or with irregular elongated patches of darker color on lighter background. 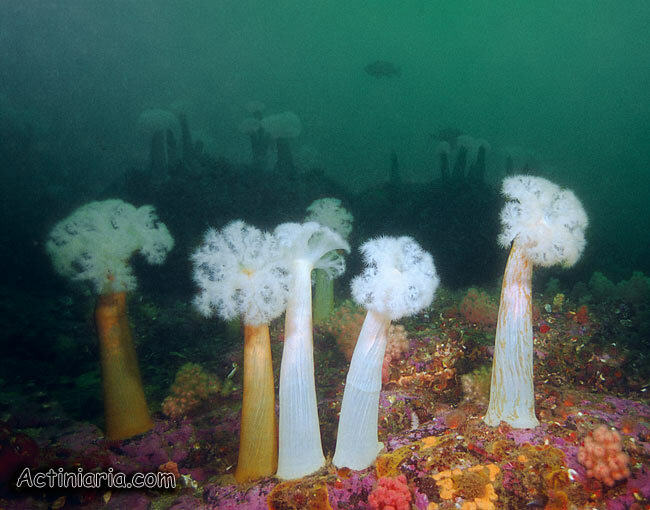 Tentacles are extremely numerous, light-colored, usually white. Although it was reported that this species (unlike Metridium senile fimbriatum) never has special fighting tentacles we saw such tentacles in large specimen of Metridium farcimen, this specimen had 6 large and very thick catch tentacles around its mouth.